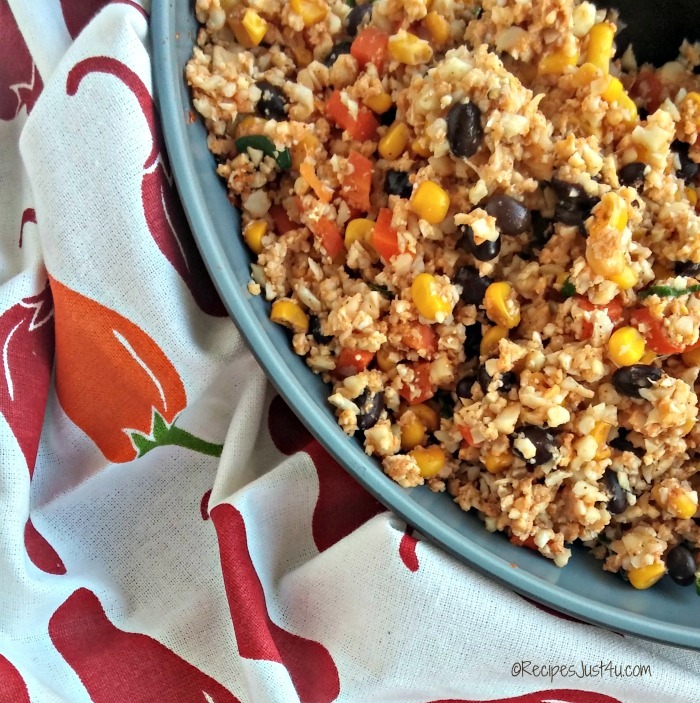 We love Mexican meals and the normal version of Mexican rice, but there is no denying that it can be a calorie heavy dish. 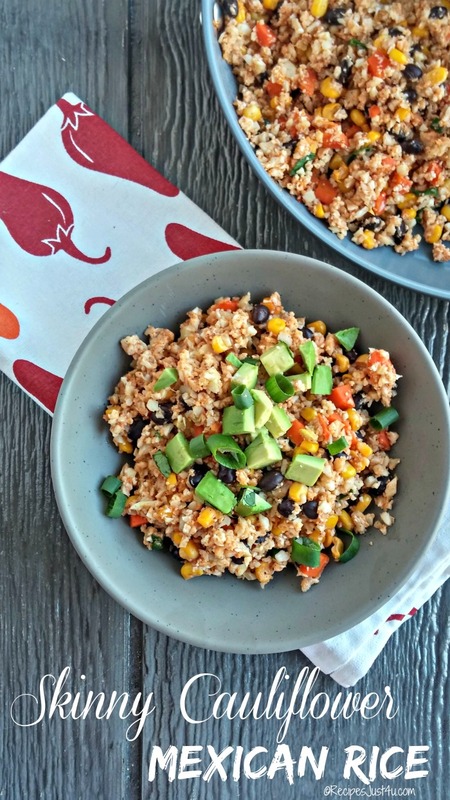 This skinny cauliflower Mexican rice makes the perfect recipe substitute for the times when you are trying to keep your calorie count lower in your meal planning. It is one of my favorite 30 minute meals for lunch. Normal Mexican Rice is very high in calories and carbs. 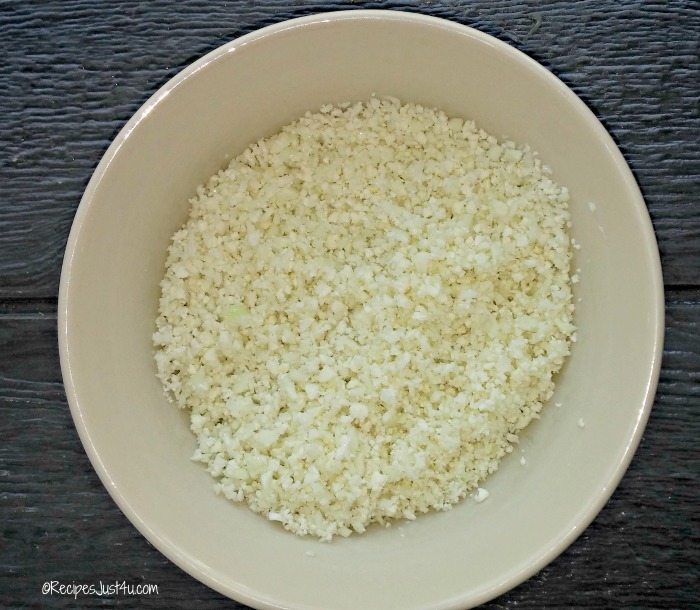 This cauliflower rice is a nice alternative when you are trying to make the recipe a bit lighter. It is really nice served with my chicken enchiladas. 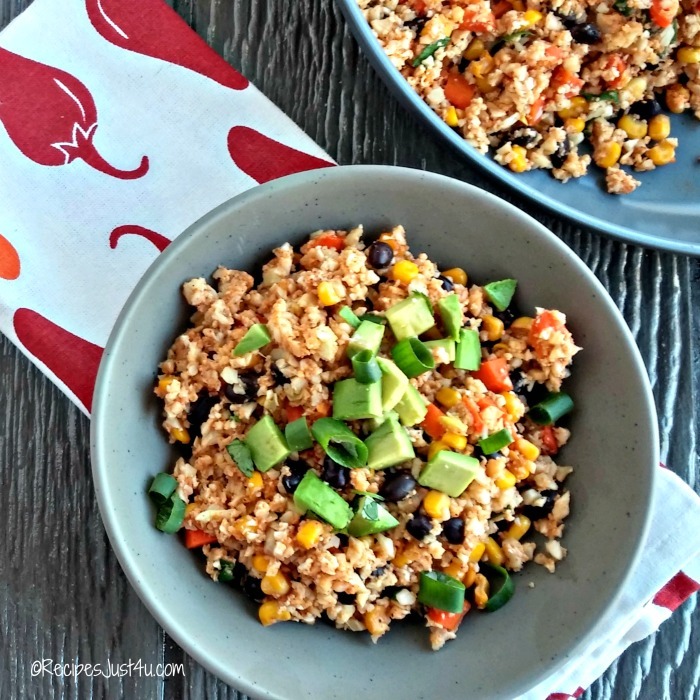 This Skinny Cauliflower Mexican Rice makes the perfect side dish for so many meals or can be served on its own for lunch. To make this version of “fried rice” I am using a whole head of cauliflower instead of normal rice. This keeps both the calories and the carb count down as well. To prep the cauliflower, just pulse large pieces of it in a food processor until it resembles smallish grains of rice. 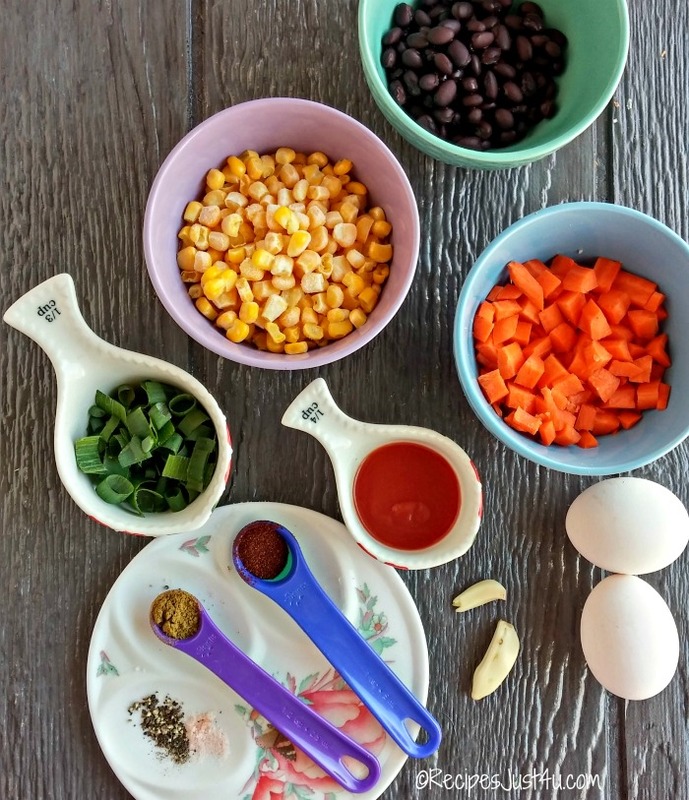 Carrots, garlic, frozen corn , black beans, and eggs adds some color and extra flavor to the dish and salsa adds a nice flavor boost too. The dish is super easy to make. Just heat some olive oil to a large skillet and heat it over medium low. Add the carrots and garlic and cook until they are fragrant, about 5 minutes. 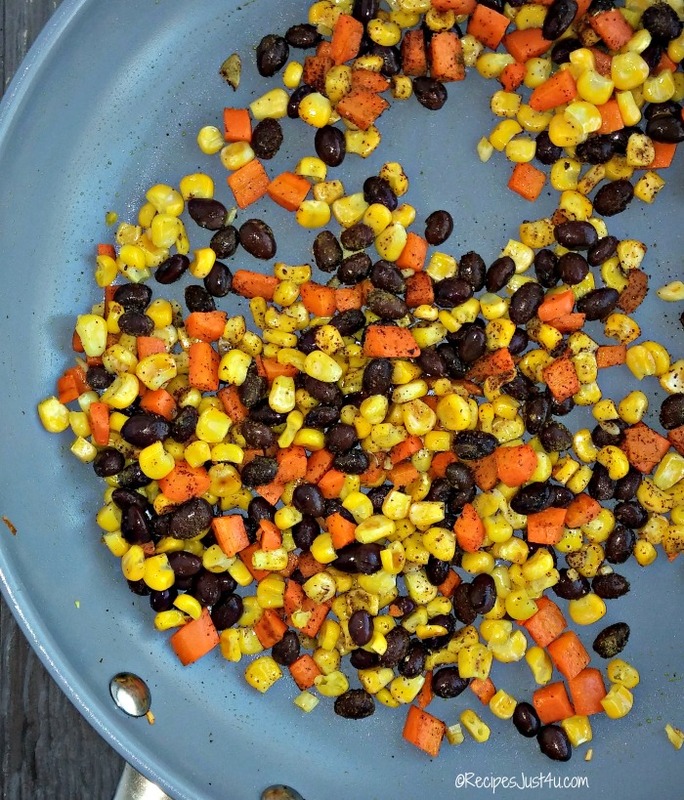 Stir in the corn, black beans and seasonings. Next, add the cauliflower, stirring quickly to cook the cauliflower. Be careful not to overcook, or it will get very mushy. 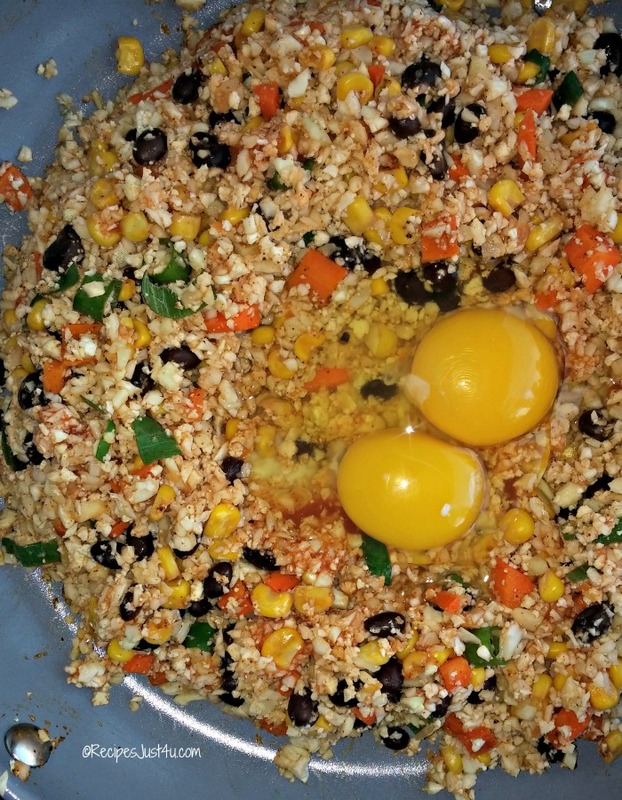 Make a well in the middle of the “fried rice” and add the eggs. Stir them in gently and continue stirring until they are fully cooked. Finish with the salsa and garnish with green onions to serve. They say that you eat first with the eyes and this dish is a good example of why. 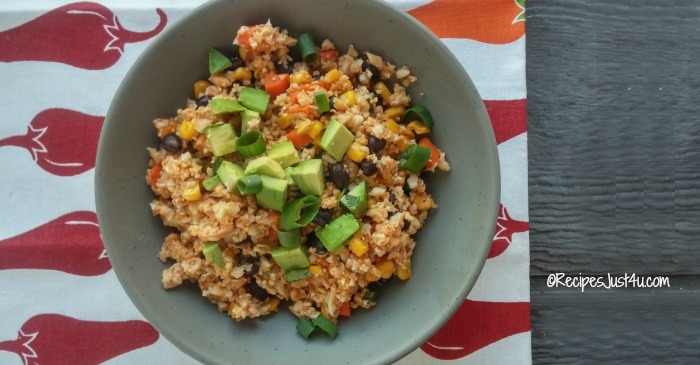 This looks so much like the much higher calorie Mexican rice so you will be eager to dig right in. And when you do? OH MY YES! Wonderful flavor and the satisfaction of knowing that you didn’t destroy your calories for the day! 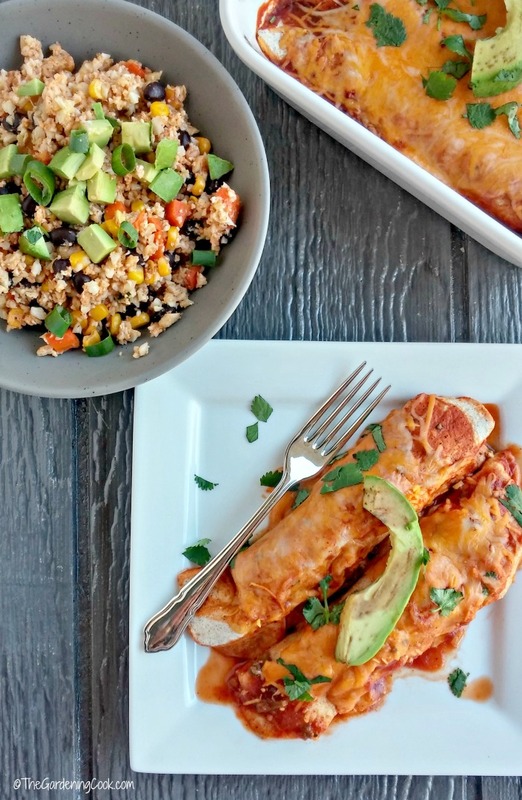 We enjoyed this tonight with my skinny ground turkey enchiladas and the two complimented each other perfectly. Cut the cauliflower into pieces and place in a food processor. Pulse until the cauliflower resembles small grains of rice. Add 1 tbsp of the olive oil to a saucepan and add the carrots and stir fry until fragrant - about 4 minutes.Add the mince garlic and cook a minute more. 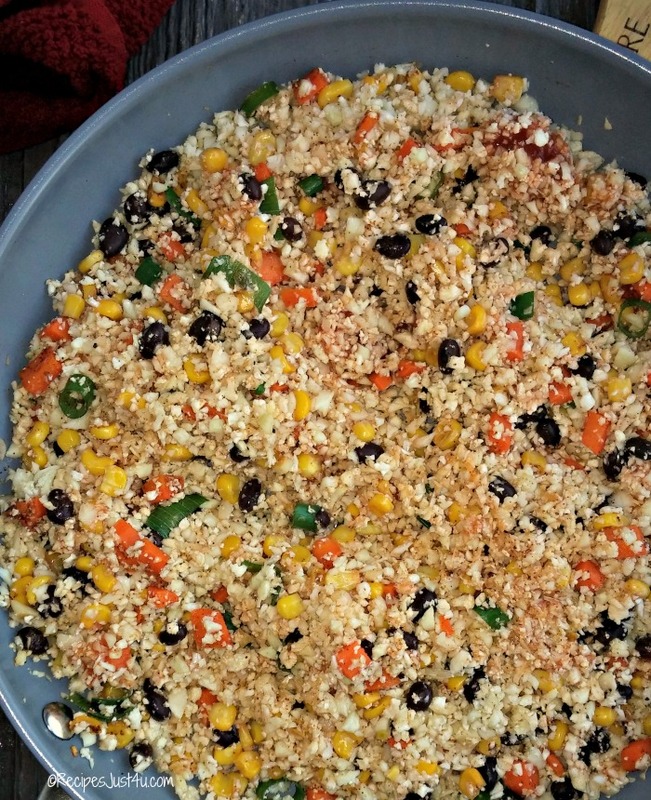 Stir in the cauliflower, black beans and frozen corn and the other tablespoon of olive oil. Stir fry quickly until the cauliflower is soft but not mushy. Make a well in the middle of the mixture, turn down the heat and add the eggs. Stir gently and continuously until the eggs are cooked. Stir in the soy sauce and chopped green onions. Garnish with a few more green onions and some chopped avocado and serve immediately. This dish is best served the same day. Pinning!!! What a great idea! Thanks for promoting it Heather.